The agricultural cooperatives. Its contribution. “The first structured cooperative that we know of was surely the consumer cooperatives. This was based on supplying products to members at prices more affordable than the market, followed, in the second half of the nineteenth century, by consumer and production cooperatives, whose aim was to produce quality control of the product, as well as to create more acceptable working conditions”. The Catalan agricultural cooperatives, through these four principles brought items that influenced the whole society. Democracy in the late nineteenth century was far from an element of Catalan society,so it had, as part of a cooperative space, to be formulated. Another interesting element is the mutual assistance between members in case of illness or distress. A third important contribution was the participation in the meetings as an item of value. A fourth vital element was the sections that were generated within the cooperative. The sections, on one hand production (the cellar, the oil mill, …) also added that the service given by farmer (the store, shop, etc.).. This, together with the social spaces of the cooperative, such as the cafes, stimulated the socialization of the cooperative with new venues for leisure (theater, for example) or knowledge spaces (schools, conferences, etc.). “The Catalan agricultural cooperatives, as we have always understood it, that is the format for the farmers who decide in advance to work together, was born in the province of Tarragona and Conca de Barberà”. In this initial process, there are three reasons for its creation: the union between aid needy farmers (Agricultural Societies), the organized owners (sindicates) and the grouping strictly cooperative for specific purposes. The differences between the three reasons were very different: whereas in the first one man one vote arguement prevailed (democracy) in the other two imposed more partial currents were imposed. During the period of the republic cooperative action in the Catalan countryside was strengthened. 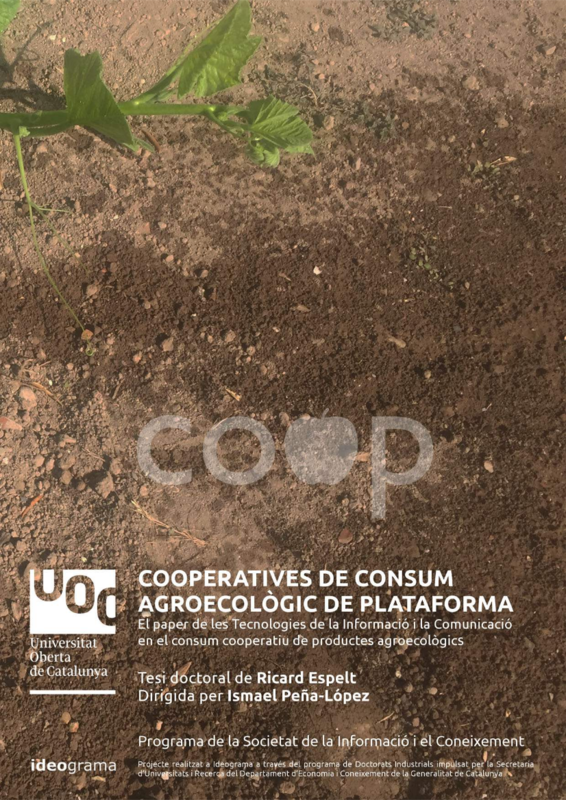 Later during the Civil War and the Franco dictatorship, “tempering the association was lost, and committed participation that characterized the agricultural cooperatives”. “This situation changed in recent years the system, since the emergence of the Unió de Pagesos, as opposed to the union class Central Nacionalista Sindicalista Union, represented a breath of fresh air to the farming sector, and for the cooperative.” Moreover, the Catalan countryside had changed a lot, and there was a renewal of generations of farmers. The situation which has continued to the present day, must “rediscover the meaning of the agricultural cooperative, as the individuality assumed by previous generations does not lead to anything. With ingenuity it is possible in small quantities in small, but in many sectors of the wholesale marketing channels need to own more than one cooperative. Obviously the memory of the badly organised second degree cooperatives hangs like lead on the producer, but it has to be agreed that this form of union is one of the major systems of the future, which, if they are used effectively and with business management, with control, should generate profits. “The agricultural cooperatives. Its contribution.